Abstract: U-Pb dating (SHRIMP) of magmatic zircon ages from the Northern Gemericum Permian volcanics (Petrova Hora Formation) yielded the Concordia age of 272.4±7.3 Ma for basaltic andesite, as well as the Concordia age of 275.2±4 Ma for rhyodacites. Both zircon ages correspond to the Cisuralian Epoch in the time span of the Kungurian Stage. Acquired 206Pb/238U zircon age data support the nearly contemporaneous origin of the acid and basic volcanogenic members in the Northern Gemericum Permian strata. The bimodal volcanic suite proves the transtension/extension tectonic regime in the North Gemeric sedimentary basin during the Late Cisuralian. 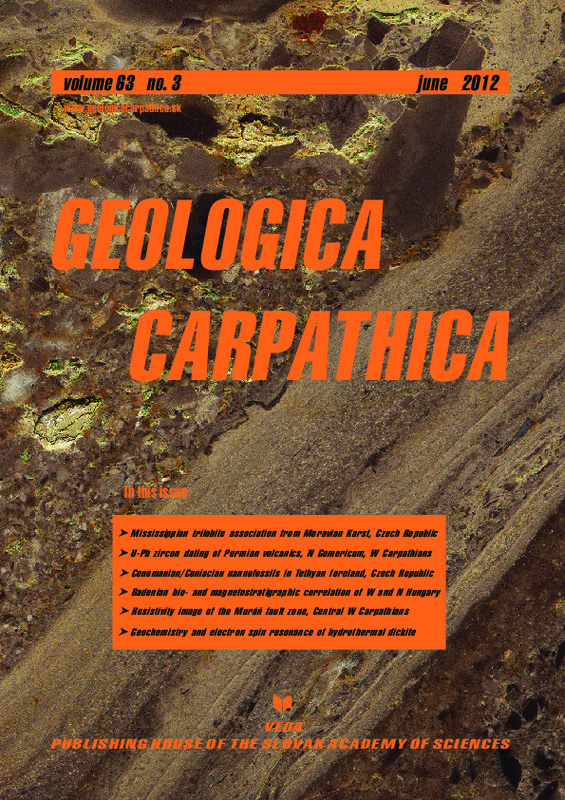 The magmatic zircon ages of rhyodacites, occurring in the lower thrust sheet of the Borka Nappe (Jasov Formation), gave a younger Concordia age of 266±1.8 Ma proving the Guadalupian Epoch, in the time span of the Wordian/Capitanian. In comparison to the Northern Gemericum realm, this age refers to the relatively younger stage of rift-related extensional movements. In the wide Alpine-Dinarides realm the Middle Permian (Guadalupian) movements are related to the beginning of the Alpine sedimentary cycle. Thus, the Middle Permian rifting expresses the beginning of the formation of the future Meliata oceanic trough.